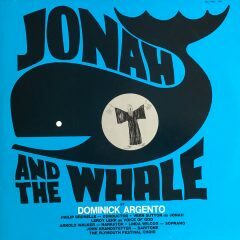 Since 1973, when the first commission by VocalEssence led Dominick Argento to compose Jonah and the Whale, the organization has ardently supported new music. More than 300 commissions later, VocalEssence Artistic Director and Founder Philip Brunelle explains how commissioning works. Why does VocalEssence commission so much original work? Just as we don’t want to lose sight of the composers of the past who show where we’ve been, we are always interested in what composers today are writing: they show us where we’re going. Commissioning creates a rewarding challenge for everyone! The composers must use discipline as they write something for a specific group with a specific text. The singers push themselves to learn a piece that no one has ever experienced. And the audience volunteers to act as the first listeners, hoping to hear the world’s next masterpiece! How does VocalEssence find financial support for commissions? a desire to commission a piece. What situations lead to the birth of a commission? It can happen in many ways. We might be planning a special concert and decide it needs something truly unique. We might finally be acting on our interest in a composer we’ve long wanted to encourage. Someone might commission a piece to honor a birthday or anniversary. Sometimes it’s a hunch: I sense it’s the right time and the right composer for a commission to create a special moment. What aspects of the work do you control? The composer and I agree at the outset on the length of the work, the text, and who will perform the piece. We talk about the work enough to make sure we’re on the same page, and I stay in contact during the writing process to see how things are progressing. Ultimately, the composer may come to look at the text in a different way and the result may be a surprise—but it is always wonderful! Are there any recent commissions you’ve found especially rewarding? They are each so individual and special. The most recent was John Rutter’s beautiful anthem “When Music Sounds,” which he composed for our concert last April. He knew the refined sound of the Ensemble Singers and chose a Walter de la Mare text that fit them wonderfully. Then the work received funding from a woman who wanted to celebrate her husband’s 90th birthday—a perfect match!